By 10.00am, on Saturday the car parks were filling rapidly and reports were of higher than average attendance figures. Final figures for the three days indicated that over 26,000 people attended the event. The Horticultural marquee was bursting with colour and inspiration whilst the floral marquee housed some stunning arrangements. This year Carol Klein made a guest appearance on the Saturday, wandering around meeting the visitors and exhibitors answering any questions they may have, much like an informal “Gardener’s Question Time! She was also signing copies of her latest book “Grow Your Own Garden“. 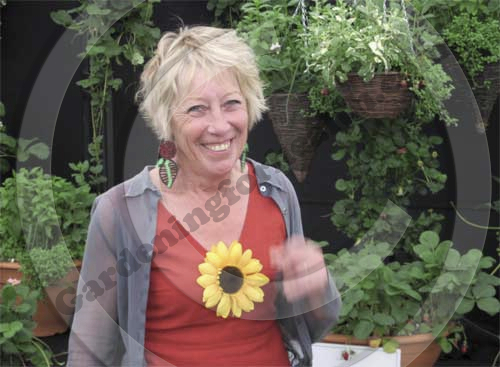 Probably best known as a presenter on BBC Gardener’s World, Carol also runs a nursery at her home in north Devon and has won many Gold medals at the Chelsea Flower show, so she is well placed to understand the importance of these events. As usual, a great deal of effort goes into making the event a success and striking a balance with traditional exhibitions and displays, as well as engaging entertainment. A combination which makes visitors return year after year. Over 200 quality local garden suppliers, food producers and other traders filled the tents and stands to make the Holker Garden Festival 2010 a great day out. 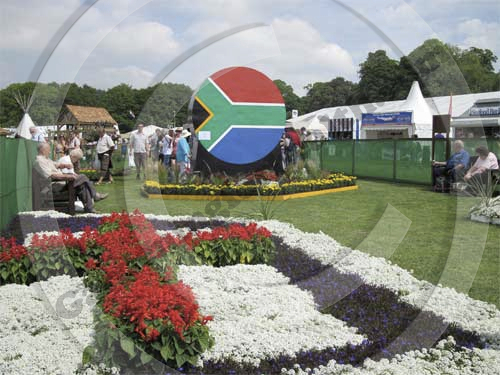 Of course the focal point of any gardening show are the show gardens, with many months of planning, design, growing and construction going into the selection of exhibits from local designers and landscapers. 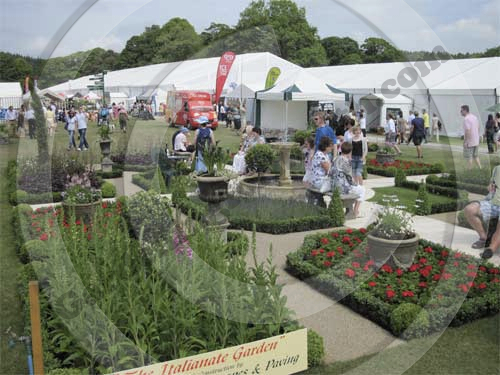 Situated at the heart of the show field, these gardens provide inspiration and a chance for local designers and landscapers to exhibit their work, of which the very high standard this year was reflected in the number of gold awards achieved. 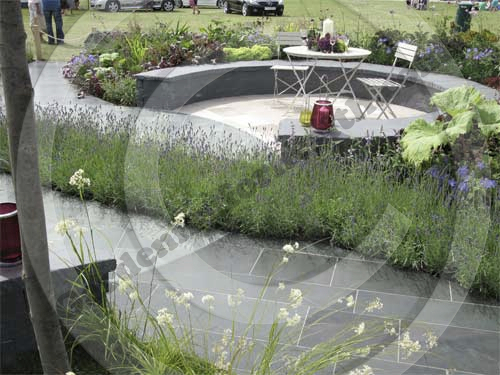 Designed for today’s busy lifestyle and modern dwellings, this garden would fit the smallest of areas, providing a calm, relaxing environment with simplistic planting that would take only minimum effort to maintain. The plants used, create an area which is attractive all year round, giving height, texture and gentle colour. 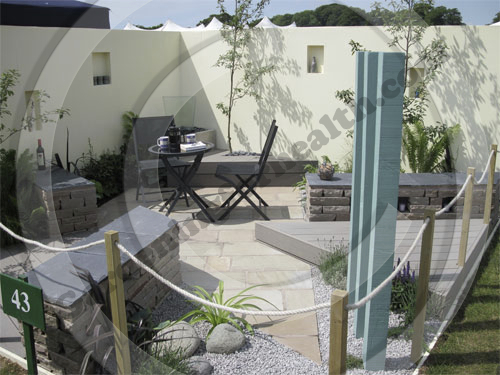 Geometric areas of paving, gravel and no maintenance decking are broken up with low dry stone walls which can double as additional seating. Clever use of three tall timber posts gives an illusion of another space beyond. No tranquil garden is complete without water and this was carried off successfully with a simple re-circulating, vertical glass water feature giving gentle noise and movement. This small example of a lakeland garden looks stunning on its own or as an area of a larger garden. Plantspace pride themselves in using locally sourced materials, so Burlington Slate formed most of the structural aspect of the garden. A beech garden seat is situated under a pergola, creating a secluded space to view the rest of the garden. Clever use of foliage creates planting structure and colour scheme with some height and intimacy added by three small trees. A small pond creates a focal point and brings light into the space, whilst an easy to reach raised slate bed extends around the outer edge of the garden, providing opportunity for different of more formal planting and here, herbs intermingle with foliage and flowers, proving that this garden could be versatile in its planting options. A truly exceptional garden, well thought out and executed. A careful choice of planting allows this garden to be suited to the level of maintenance required by the gardener. Mike Thwaites Ltd & Damson Design Ltd for Cavendish House – awarded large gold. The main emphasis on this garden was the strong use of local Burlington slate, both in the paving and stone walling of the structure. A central circular feature for sitting, dining or entertaining, utilises the surrounding wall structures for additional seating whilst a path of lavender wends its way through the garden bringing colour and perfume. Areas around the stone walls are lushly planted using bright greens and purples to reflect and lift the natural colour of the stone. Movement and a softening of the structure was created by planting flowering grasses into the lawned areas on the outside of the design. Trees bring height and a feeling of seclusion to the seated area. Burlington slate Ltd is a Holker Estates company. Three is known as the number of divine perfection and has had powerful significance over many centuries, featuring in religion and Celtic design to the modern Three lions of our national football team shirts. Interlocking circles in differing colour and texture create a Venn design effect. The middle circle has an amphitheatre feel, provided by the low stone wall softened with colourful planting. A tall bubbling water feature created from three spheres of stone form a centerpiece whilst three stone stools and round tables give a neat seating arrangement. Two outer circles are smaller and paved with different types of ethically sourced stone and planting around the structure is lush, incorporating many tender plants such as Canna Lilies, Olive trees and French Lavenders. Made popular during the Victorian period, many of the Lake Districts’ stately homes feature formal Italian gardens, created by great names such as Thomas Mawson. In this garden, the regal splendour of the Italian formal garden is scaled to suit a moderately sized space. 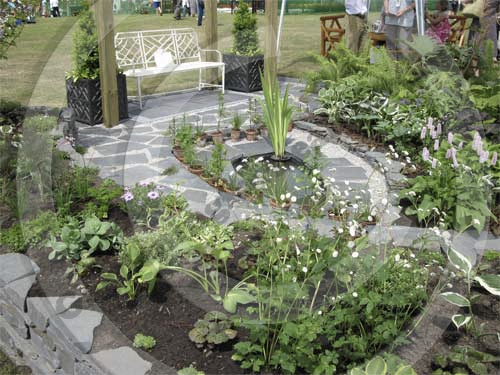 The fine gravel pathways are constructed from resin bound gravel making them easy to use and maintain and the flower beds are of a size that makes them workable from all sides. 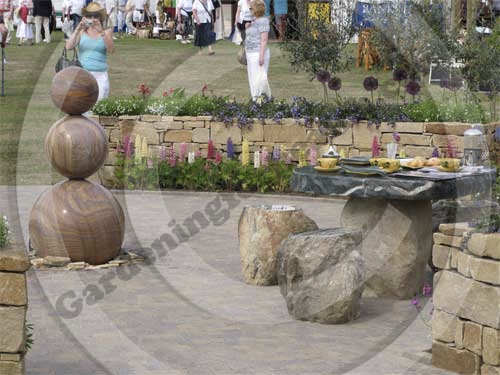 Plenty of stone seats allow the restful garden to be enjoyed from different angles. A stone fountain forms the centerpiece and the Italian theme is enhanced by the use of lavenders and pelargoniums in the beds with bay and Italian Cypress giving height and interest. 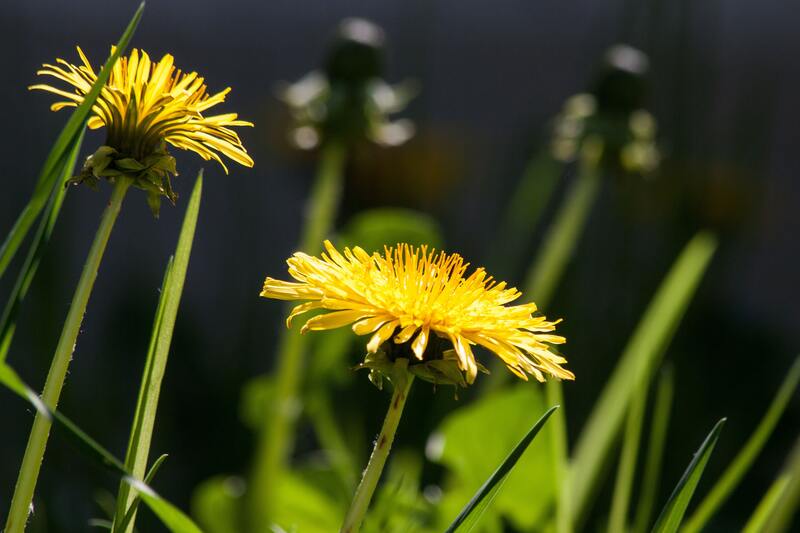 The restless gardener will be kept quite happy clipping the formal box hedging and tending to the flower beds which can easily lend themselves to annual or more permanent perennial planting schemes. A regular exhibitor at the Holker Garden Festival, HMP Haverigg create stunning bedding displays, all usually created from plants grown themselves. This year’s display focused on the World Cup Football competition in Africa and the garden layout depicts the aspects of the African flag. Millom School DCFS Technical College were invited to design the display. Pupils from year 10 entered the competition and the winning design was won by Abbie Hughes age 15. Instructional staff and prisoners set about the construction and growing the plants with prison staff also adding to the display planting scheme. Details of all the winners from the 2010 Holker Garden Festival can be found using the links below.